In business since 1989, Best Upon Request is a certified Minority and Women?s Business Enterprise, and Corporate Plus® Member of the NMSDC, providing on-site concierge services to organizations nationwide. BEST helps employees save time and decrease stress, resulting in increased engagement and commitment to their employer, and in healthcare, helps improve patient satisfaction. 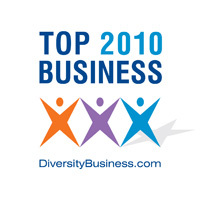 Best Upon Request ranked 393rd on the 2013 Hispanic Business magazine?s 500 Largest U.S. Hispanic-Owned Companies, and won the 2009 Cincinnati Better Business Bureau?s Torch Award for Marketplace Ethics. Best Upon Request offers on-site concierge services to businesses nationwide. Best Upon Request's Healthcare Concierge Services offer hospitals an advantage in a competitive market.